Manipulation under Anesthesia (MUA) is a technique that originated in the 1930’s where patients are placed in “twilight” sedation so that the spine can be adjusted and the soft tissue stretched when the patient is in a more relaxed state. MUA is now available at Active Life Chiropractic for specific acute and chronic pain patients. There are some patients whose acute condition may warrant MUA, but the overwhelming majority of patients who choose MUA as a treatment option are those with chronic pain that have been unresponsive to conventional treatment. Who is the MUA patient? Active Life Chiropractic patients will have their MUA procedures performed at a local surgical center. Once it is determined that you are an MUA candidate, medical clearance will be arranged by Active Life Chiropractic and affiliated medical and osteopathic physicians, then the MUA will be scheduled at the Surgical center. The treatment after your MUA is extremely important to your recovery. Active Life Chiropractic and our staff will arrange for the chiropractic treatment and specific physical therapy rehabilitation program after your MUA at our center or at the appropriate provider in your area. Our treatment goal with this procedure is to have you return to a pain free lifestyle. 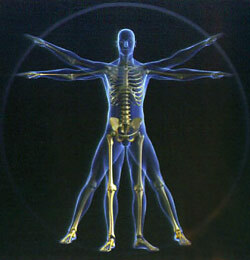 We, at Active Life Chiropractic are dedicated to doing whatever possible to achieve this goal. Is MUA covered by my insurance? MUA is not an experimental procedure and it is covered by most insurance carriers. For more information or to make an appointment for a consultation please contact our office.